Robert Purchase MD (San Francisco) - Book Appointment Online! My approach to patient care is rather simple, listen; engage; and educate. As a prior collegiate football player and life-long athlete, I understand the importance of getting people back to the activities they love. I am board certified & fellowship trained in surgery of the shoulder and knee & use minimally invasive techniques to treat rotator cuffs, meniscus tears, ACL injuries, & many more. I perform total joint replacements of the shoulder & knee, including the less invasive partial replacements. The care of complex traumatic injuries is a core part of my practice as well. If you want to wait forty minutes to spend five minutes with a doctor who doesn’t make eye contact or explain anything, there are many good options. If you want to be treated like an adult, become informed about your health, and participate in the process; then please make an appointment. 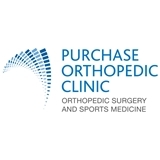 Dr Purchase did my shoulder surgery and he was fantastic. One year later I am much stronger than I was pre surgery. I highly recommend him.